If you're a skier then Vail Colorado will already be on your destination wish list. And if it isn't, then you need to bump it straight to the top. Saxon broke his ankle on Christmas Eve so our December adventure was derailed. However fate works in strange ways and that's how we found ourselves skiing in March under bluebird skies with mountains of snow. It was one of the best trips we've ever taken as a family and can't wait to return. 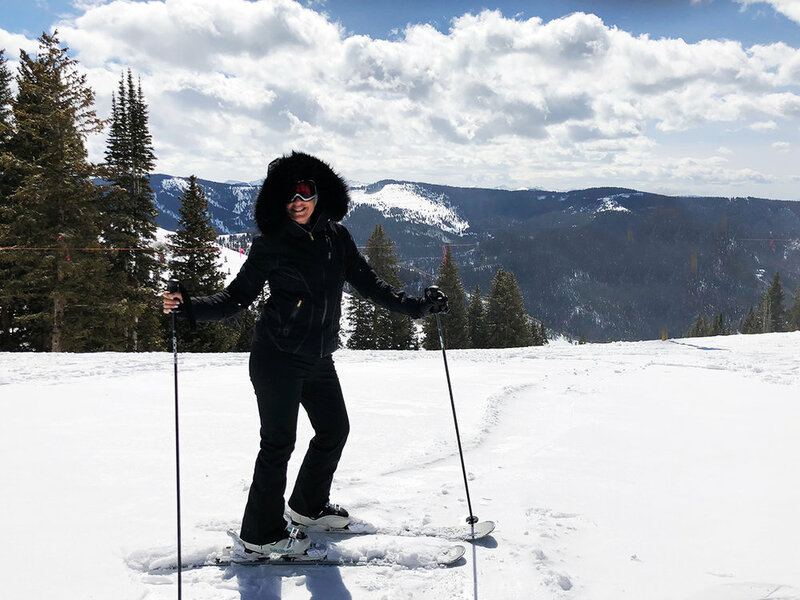 There is so much to do both on and off the slopes, here's my eat, play and where to stay guide to magical Vail. No matter what type of snow sport you're into, Vail Mountain has some of the best terrain in the world. The third largest single mountain ski resort in the United States (just behind Big Skyand Park City) Vail features seven bowls over twenty-two kilometres. My family are all at different skiiing levels. One of the most brilliant things about Vailis that the peak is super easy and then the mountain divides into green, blue, black and crazy runs on the descent. This means you can still ski as a group - just choose your level and meet at the bottom. I highly recommend booking an instructor- even if it's just for your first day. The mountain is huge and an instructor takes the stress out of navigating the lifts & runs and will show you the best spots to eat, take pictures and ski. GOOD TO KNOW:All instructors have staff cards that give them (and their students) discounts at certain restaurants which is very handy when it comes to kids and snacks. When travelling to any overseas ski destination it's a very good idea to book your mountain passes and ski hire (if you need it) ahead of travel. You don't have to be a skier to take in the magic of the snow. There are lots of places at the base off the mountain that make for pretty walking but you can also catch the gondola up to the mountain restaurants and Vail Adventure Ridge (which is an awesome place for kids with zip lines and taboganning) and take a snow stroll. In snow boots of course. Ball gown is optional. Eat Like Every Meal Is Your Last. My family loves American food and all its cousins (Mexican, Spanish, Italian) and when we're stateside we gravitate to the classics - big steaks, burgers, tacos, ceviche, cookies and anything with peanut butter. There are so many delicious food options in Vail (far better than a lot of other neigbouring ski resorts) but here's a list of my on-and-off mountain favourites. For Casual: At the top of Eagle Barn Gondola you'll find Bistro Fourteen; a warm, ski-in/ski-out restaurant with a beautiful outdoor space for sunny days. This fast became our favourite coffee spot. Lulu rated it the best hot chocolate in Vail...and she tried the mall. 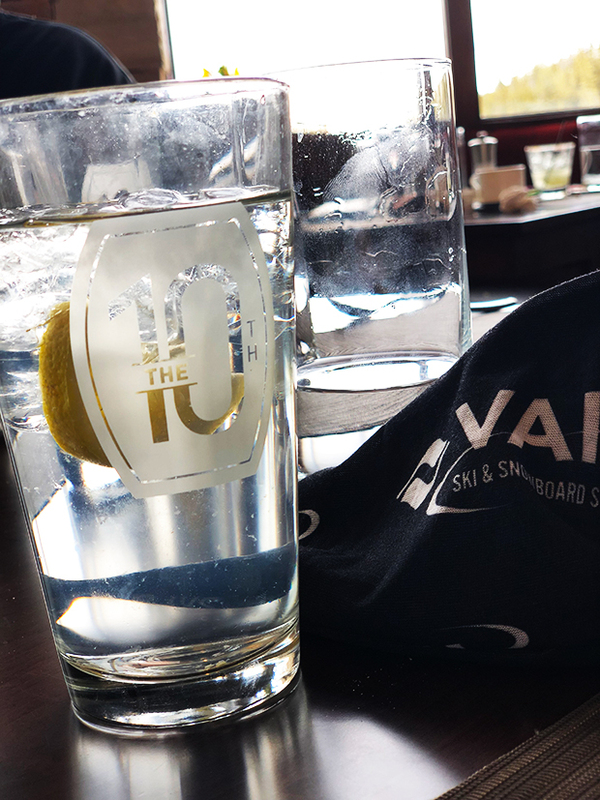 For Less Casual:My favourite on mountain dining option is The 10th, a more upscale ski/ski out restaurant located mid Vail. It offers great soups and salads the buratta salad is all time!) and you have to order the kids dessert which is fresh-out-of-the-oven chocolate chip cookies the size of a saucer. For Mexican:I would have missed Los Amigosif it wasn't for my instructors recommendation. This little authentic Mexican joint sits at the edge of Lionshead Village and is cheap, delicious and a local favourite. And the margarita's are fabulous. For Date Night: We fell in love with the food and vibe at Sweet Basil, an Italian inspired restaurant in the heart of Vail Village. The lighting is chic, the food is developed but not pretentious and it's home to the worlds best margarita (it's literally called that) and Saxon and I reckon they are. For Traditional With Twist: One of the best new restaurants, Mountain Standard Vail is set on the river level in Vail Village. Make sure you arrive hungry because the portions are American size and everything is delicious. The bar is jumping, the drinks are strong and the kitchen brings a little of Denver's wild west with regular chants and pot clanging heard regularly throughout the eatery. For Drinks: Add a Spicy Bacon Bloody Maryfrom Tavern on the Squareto your list of drinks you never thought you'd order but will love. This is a great place to try special cocktails and you can be as dressy or casual as you like. For a more swept up (and dressed up) après-ski scene, you'll want to hit The Remedy Bar at the Four Seasons or Frost Bar at The Sebastian. For Family Special: The stunning Four Season's Vail signature restaurant Flame,is a traditional steak house with all the polish you'd expect from this style of property. Huge room, plush booths, dark lighting and special serviceman it's a fabulous night, and it's right next to one of the prettiest pools I've ever seen. Ice Skating At The Arrabelle. This is a great non-skier activity. We stayed at The Arrabelle At Vail which has it's own ice rink. It is purely magical to be spinning around the ice surrounded by snow covered mountains and the European architecture of this special resort. The rink is open everyday in winter from 1-9pm. Vail is divided into two parts: Vail Villageand Lionshead. They two ends are the perfect mash-up of Ralph Lauren Americana and European village vibes. The streets of the entire town are heated so there's never snow on the streets which makes wandering much easier and the two areas are connected via a shuttle bus which runs constantly. You can shop for everything from collegiate sweatshirts (we did) to vintage fur. Obviously there is a broad range of ski wear - I grabbed some absolutely great end of season bargains. There's a lot of interesting local art and of course food of every kind - make sure you go the Fuzzwigg's Candy Factoryfor traditional American candy. Take time to walk along Gore Creek. This beautiful estuary runs through the valley from east to west and directly through the town. There's a walking path along the banks which is breathtaking - particularly when the snow is melting and the surrounding nature is more visible. And then at night, well...the whole town twinkles. Beaver Creek Resort is about half an hour away from Vailand an awesome addition to your trip. Stunningly beautiful, it's one of the few moutains in the world that has green runs at 3000 feet. So no matter how much of a beginner you are, Beaver Creek Resort allows you to experience epic views without the fear that you can't ski down. I would recommend an inscructor or a group ski school to maximise your time on the mountain and not waste any time on your day trip. My favourite eating spot was the outdoor terrace BBQ served daily at Talonsrestaurant which is a traditional ski in/out restaurant high on the slopes. We were spoilt with skies like an Australian summer - so eating burgers on the terraces was a total buzz. ♥ Unlimited, unrestricted access to Perisher for the 2018 season. ♥ Five consecutive days with no blackout dates at Hakuba Valley, Japan for the 2018 - 2019 season. ♥ 10 days combined betweenWhistler Blackcomb, Vail and Beaver Creekduring the 2018/2019 season, from November 2018 - April 2019 \(holiday restrictions apply). The days do not have to be used consecutively. ♥ 7 days of skiing or snowboarding at each of Crested Butte, Okemo and Mount Sunapee with no blackout dates, a total of 21 days. We visited Vail as guests of Vail Resort Group. Thank you for an incredible experience. How To Treat Adult Acne. Crazy Ingredients For Younger Skin.